Their life stories couldn’t be more distinctive. One grew up in a tight-knit neighborhood in the Bronx. Another spent his childhood in communist Poland. A third was raised in Jamaica, but also traveled to England. All are residents of Winter Park Towers, a residential facility for seniors in Winter Park, Fla. They also are participants in a project involving students from the University of Central Florida. This is an especially important concept for social work students to understand because many will go on to work in elder care, she added. Funding from the Winter Park Health Foundation enabled Gammonley and three graduate students to recruit 23 residents from Winter Park Towers to share their life history with a class of 22 undergraduates. Many of the residents met with the students on one or more occasions to talk about their life. Three other residents chose to work with students to create a scrapbook about their life. 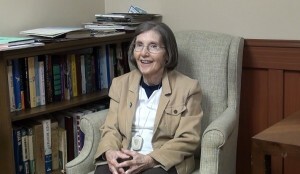 Puryea as she appears in her oral history. 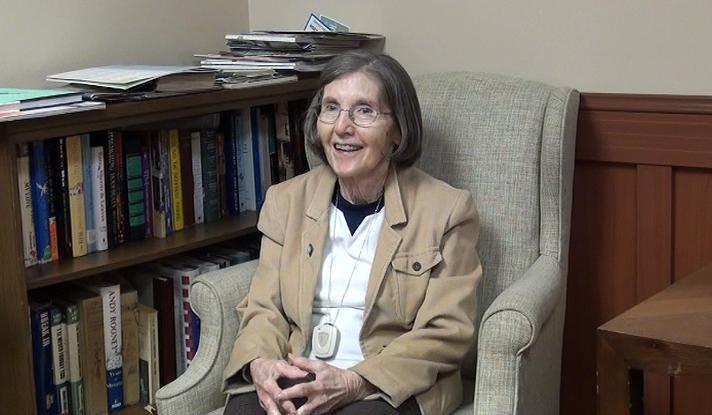 Among those providing an oral history was resident Betty Puryea, who was born in 1930. She shared fond memories of singing, playing the piano and fishing during her in childhood in Albuquerque, New Mexico. She also recalled meeting her husband, who was in the Air Force, while “on rollerskates,” and how much the couple enjoyed living at Patrick Air Force Base on the east coast of Central Florida. “In life, it’s what you put into it, it’s what you do,” said Puryea. “Or you can sit back, and it’s not too good.” Not surprisingly, she prefers to remain active as an older adult and currently enjoys exercising, painting and reading. Social work major Timothy Blinde, who helped interview Puryea, said the project offered him a unique opportunity to work with seniors and learn from their “experiential wealth.” The project also exposed him to career opportunities available in elder care. 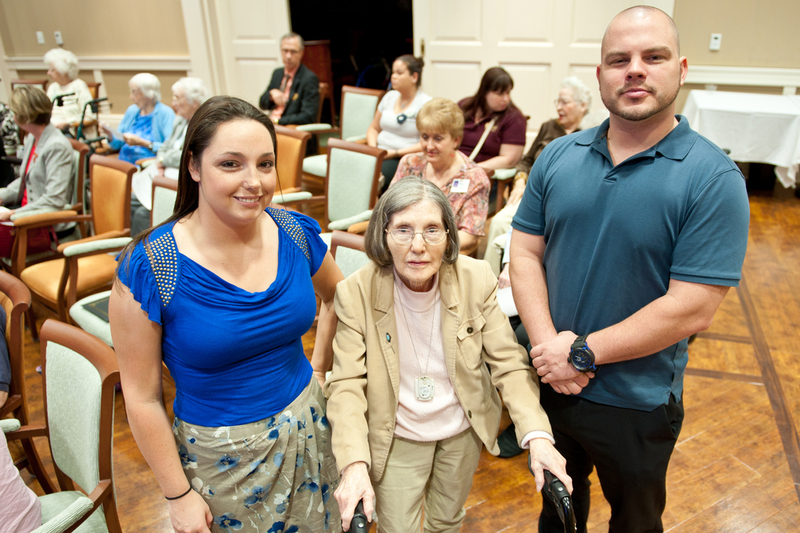 “Winter Park Towers offers a rich array of services, supports and levels of care, so it’s a great setting for students to learn about employment roles within the elder-care workforce,” Gammonley said. The growing elderly population and aging baby boom generation is creating considerable demand for social workers who specialize in working with the elderly, according to the U.S. Bureau of Labor Statistics. In addition, the history department will add Puryea’s oral history and those of four other participating residents to its RICHES (Regional Initiative for Collecting the History, Experiences and Stories) of Central Florida website (http://riches.cah.ucf.edu/), enabling many others to learn about the lives of some of the region’s senior-most residents.